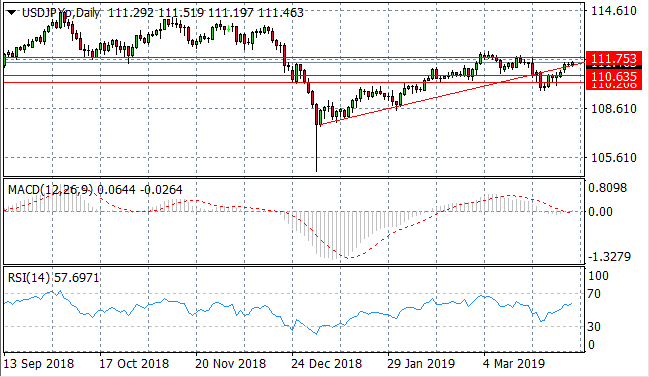 The USD/JPY pair is testing the ascending trendline which represents a key resistance area for the pair and a break would send price action towards the 111.75 price level. Momentum indicators are turning more bullish; with MACD testing the zero line and RSI beginning a momentum reversal. The ascending trendline has been maintained with price action once again rebounding from this key support area. 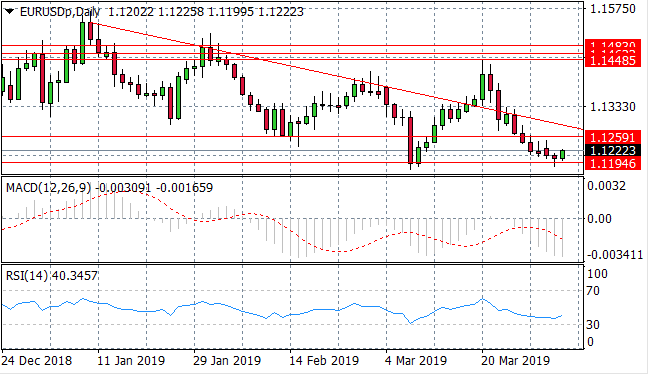 Price action is now testing the 1.314 price level as buyers return to the pair. Momentum indicators are mixed, with an imminent bearish break of the zero line on MACD and an upward trajectory on RSI. 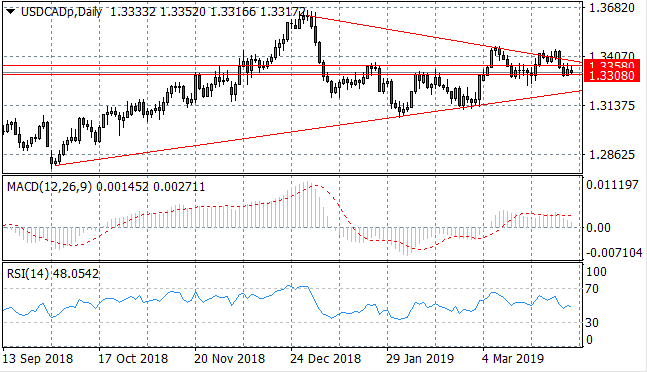 The USD/CAD pair has broken the upper trendline of a symmetrical triangle which has immediately resulted in a pullback in the pair and a break of several support areas. 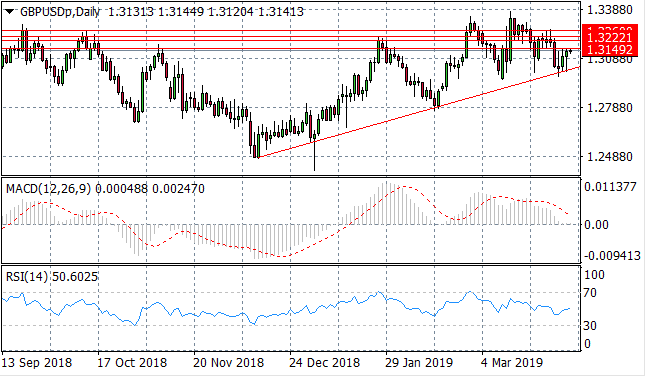 Currently the pair is testing the 1.330 price level and a break seems likely given the trajectory of momentum indicators. 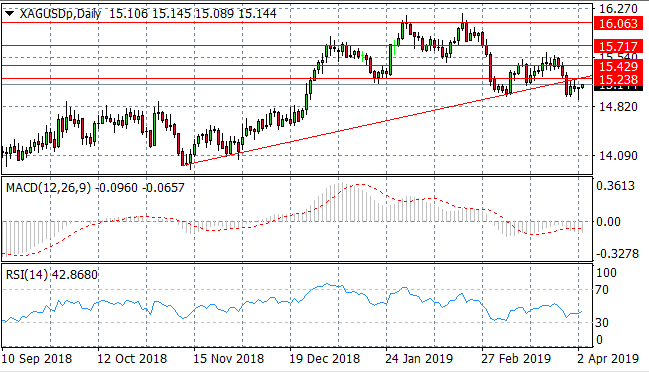 Silver has broken both the 15.42 and 15.23 price levels as well as the ascending trendline indicating significant bearish sentiment in the pair. This also represents a break out of the trading range between the 15.23 and the 15.71 price levels. Momentum indicators are moderately bearish with MACD extending its negative trajectory position and RSI flattening. 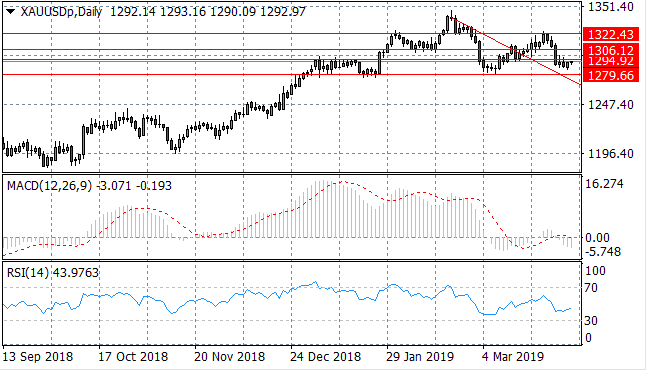 Gold sellers have returned since the metal hit the 1322.43 price level, breaking key support areas including the 1294.92 price level. The next target for sellers is the 1279.66 price level. Momentum indicators are bearish with MACD breaking the zero line to the downside and RSI flattening in negative territory. WTI buyers are beginning to dominate price action with the ascending trendline acting as a strong support for the commodity. 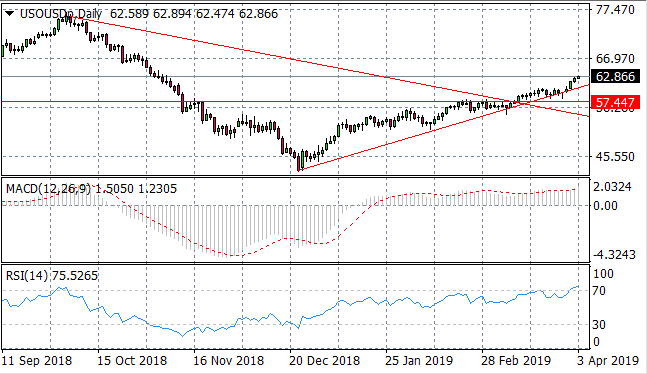 WTI has broken the psychological $60 per barrel range, however, given persistent oversupply; it remains to be seen if the commodity can stabilize at this price. 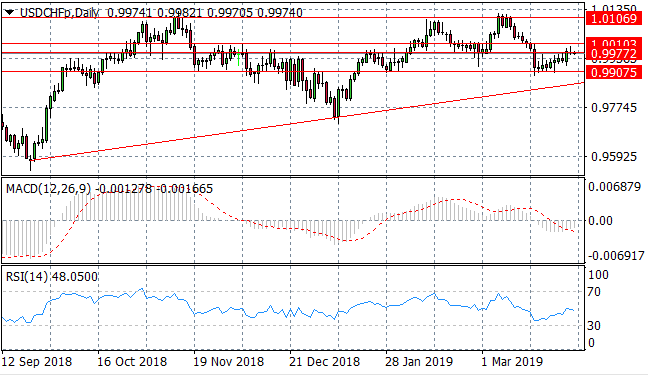 RSI has broken the 70 resistance area whilst MACD is flat in bullish territory.